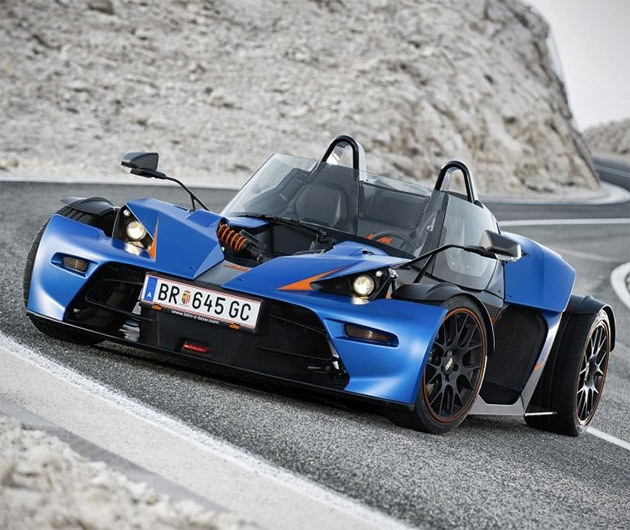 The open carbon fiber body of the 2014 KTM GT X-Bow has been wickedly designed to reduce drag and maximize speed and performance. It sports a 2-liter TSFI 4-cylinder engine with 281 hp and 309 lb-ft of torque, accelerates to 62 mph in just over four seconds and bags a top speed of a 143. Its eco-credentials are just as impressive as its specs, drinking only 8.3 liters of gas per 62 miles and emitting just 10.7 oz of CO2 per mile.